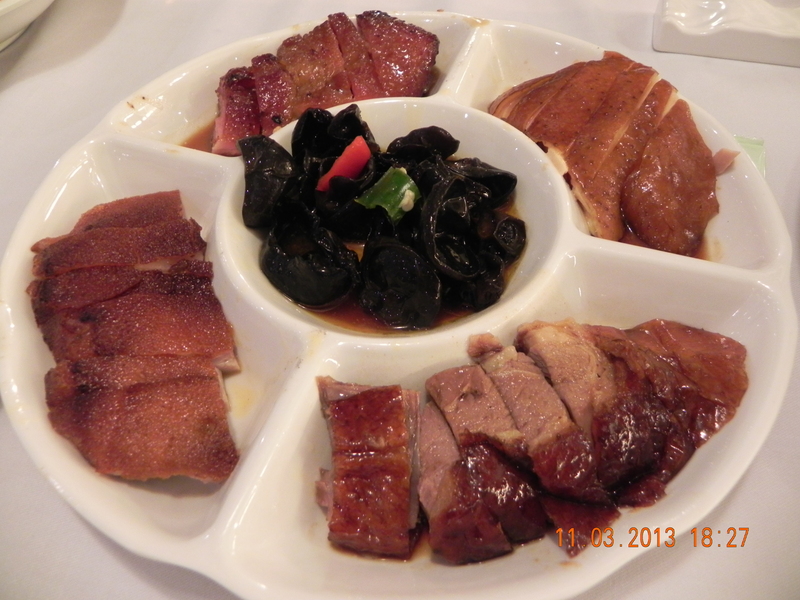 Taoheung group is my favourite restaurant group in Hong Kong. 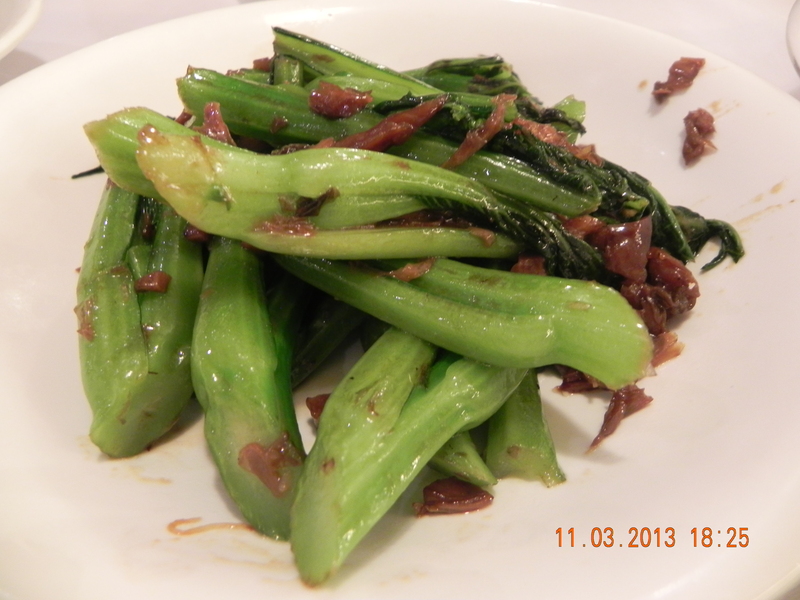 I specially like the set meals at Ying (迎) at Nathan Road and at Chung Cuisine (锺菜) at Times Square Causeway Bay. There was NO service to talk about here (well at least for the 1/2hr starting from 6pm where there seemed to be orderly mayhem!). 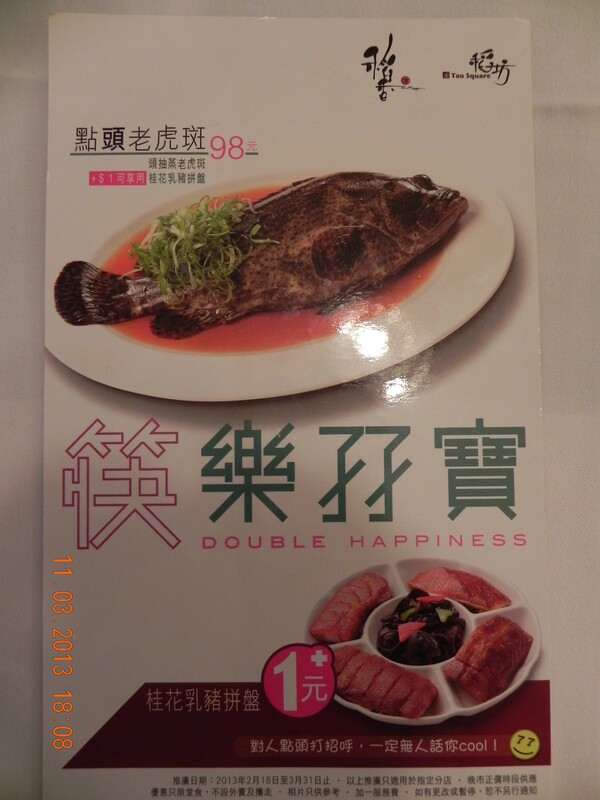 I had tried previously another of their restaurants Pier 88 (稻香超級漁港) during the promotion hour and to their credit service there was ok despite the mad rush at 6pm. We had the incredible value promotion in the picture above=HK$99 for a steamed live garoupa (I estimated about 700g-800g) PLUS a platter comprising suckling pig, roast duck, char siew & soy chicken! 🙂 The normal price for the tiger garoupa alone (w/o promotion) was HK$238! 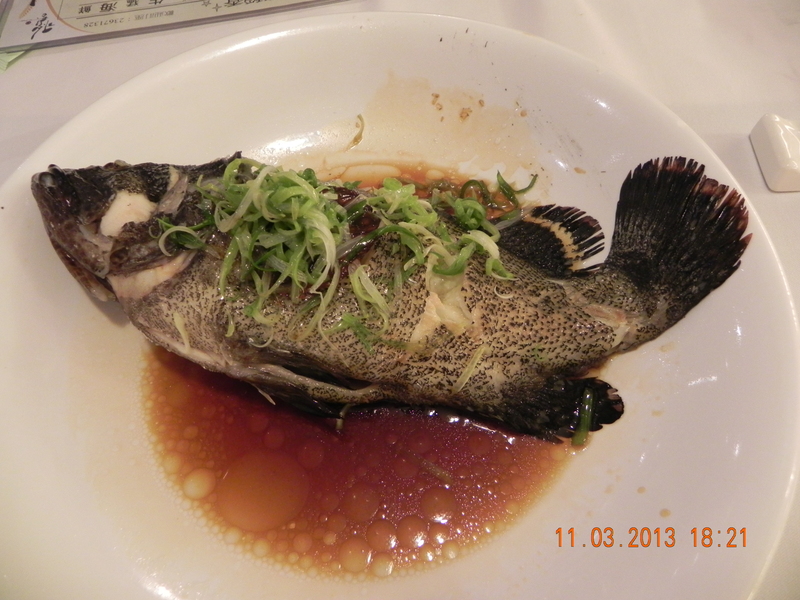 The steamed garoupa was very good, which was like “routine” in Hong Kong. The suckling pig platter – what can I say? 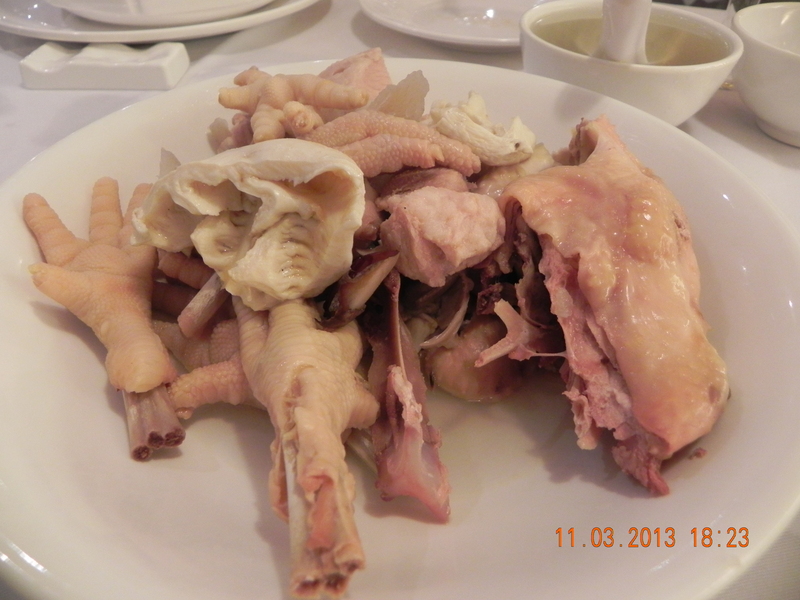 every item was very good even including the black fungus, which was crunchy with a touch of sesame oil. Not sure the normal price for such a platter, but I would gladly pay HK$99 or more for the platter alone. You kind of “have to” order 例汤 (soup of the day) when in a cantonese restaurant in Hong Kong, so we dutifully ordered one on the menu=chicken & fish maw (花膠) soup. It was a big pot costing HK$108. It was good but NOT great! Auntie Bes can make just as good soup at home. The one we had at Lei Garden (利苑) Time Square – which is famous for its soup – the day before, a smaller pot at HK$88 was by far the better. This entry was posted in Buon Appetito! and tagged Carnavorn Road, char siew, Hong Kong, roast duck, suckling pig, taoheung, tiger garoupa, tsimshatsui. Bookmark the permalink.